Here is what Nokia's brain trust has seemingly been working on for the past year: A phone that slips more easily into your pocket and takes better photos in the dark. Stripped down to its most essential parts, Nokia's new Lumia 928 is virtually identical to last year's Lumia 920. They share get the same 4.5-inch screen with a resolution of 1280x768, a dual-core Snapdragon S4 processor, and a gigabyte of RAM. The 928's lighter, slimmer, more angular polycarbonate body that makes it far more pocketable than the 920, even if its sharp angles are a bit less accommodating to your palm. Also new is the xenon flash to provide better low light performance. Other than that? Same phone. The good news about the 928, if you're a Verizon (VZ) customer, is that it's the first high-end Lumia device to grace the nation's largest wireless network -- in fact, the Lumia 928 is a Verizon exclusive. 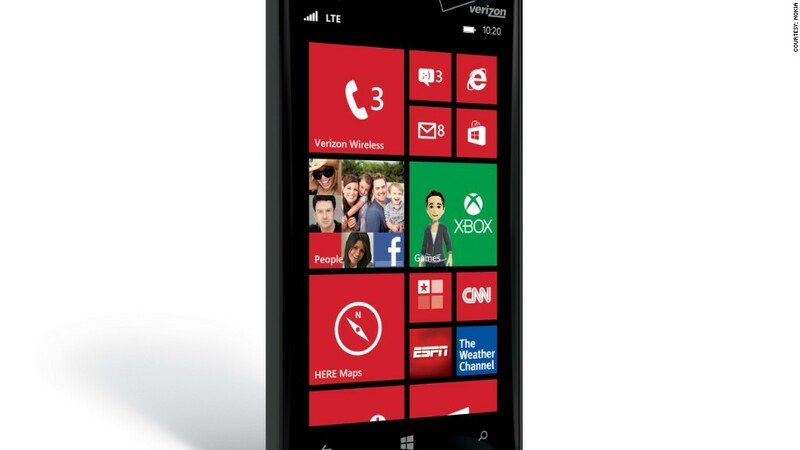 Those Verizon customers who had been holding out for the Lumia 920 won't have a tough decision to make. Everything else about the Lumia 928 feels like old news. Last year, the guts found in the 928 would have been top notch. This year, they're simply commonplace and a generation behind. To be fair to Nokia (NOK), the Finnish phone maker couldn't have built a better smartphone if it wanted to. It has equipped the 928 with the best processor and display Microsoft's Windows Phone 8 operating system will allow. Until Microsoft (MSFT) releases an update to its mobile OS later this year, Nokia's hands are tied. But even with last year's hardware, The Lumia 928 is still a perfectly good phone. Nearly every aspect of the Windows Phone user interface runs silky smooth. The display is beautiful, and you'll be hard pressed to find a better low light camera on the market. Internet Explorer renders sites beautifully, and more apps continue to pile into the Windows Phone app store by the day. The battery will get you through a full day, and with Verizon's network, coverage issues are few and far between. But smartphones can't just be measured by their performance when you buy them -- we're typically stuck with them for at least two years. When a bigger, badder version of the Windows Phone operating system rolls out next year, will the Lumia 928's aging hardware be able to keep up? What happens in 2015, at which point it will be a dinosaur in smartphone years? Nokia and Verizon appear to be aware of that conundrum, and they have priced the phone accordingly. The Lumia 928 costs $100 with a two-year contract at Verizon stores (half the price of most high-end smartphones) and just $30 on Amazon (AMZN). At the end of the day, the Lumia 928 is Nokia's way of reminding the world that its still making quality hardware and trying to claw its way back to the top of the smartphone food chain. Even if its operating system is holding it back, the Lumia 928 is a phone that will undoubtedly please a few Verizon customers who were faithfully waiting for a premium Lumia to come their way. But if you're a Windows Phone devotee who can wait a few months, chances are we'll see a bigger and better Lumia phone hit the market -- Nokia has an announcement planned for July 11 in New York.